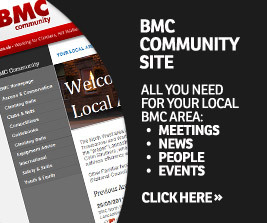 We have launched a new version of the BMC website. It’s not just a cosmetic makeover; we’ve made it easier to find all the latest news and advice on your favourite activity, whether it’s indoor climbing, rock climbing, walking or mountaineering. You can now comment on news articles too. It’s also easier to find information on events, clubs, climbing walls, huts, and a host of other stuff. There are still some bugs to fix and broken links to mend, but we hope you like the improvements and welcome your feedback. 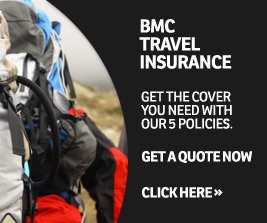 Welcome to the new BMC website. Whilst we squash bugs, here's BMC VP and journo Ed Douglas with his thoughts on media, the outdoors and milk. The BMC is delighted to have appointed Doug Scott CBE and Lord (Tony) Greaves as Patrons. The 2012 BMC AGM Weekend is at Malham, from Friday 27th to Sunday 29th April. Come and join us in the Yorkshire Dales for a weekend of walking, climbing and socialising. When bad weather hits snowy hills, there’s a good chance you could experience a whiteout. But could you navigate your way back to safety? The BMC Youth Climbing Series is a popular and fun competition for young climbers of all abilities, with three regional rounds and a national final. The 2013 dates and venues have been set, and the online entry system is now closed. The GB Junior team selection meeting was held on Sunday 11th December to decide the Junior GB Climbing Team for 2012. 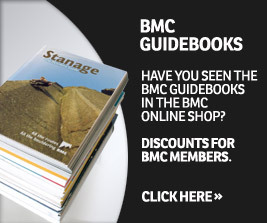 What is the current BMC position on windfarms? Dr Cath Flitcroft, BMC Access Officer, explains what's been going on following the BMC Windfarm Seminar in Llanberis. Dreaming of summit glory? You're in luck: there are still many unclimbed mountains out there. All that stands between you and a victorious summit pose is some research, as Tim Moss explains.